A former Alabama sheriff has pleaded guilty to giving an inmate a gun and the keys needed to escape jail. 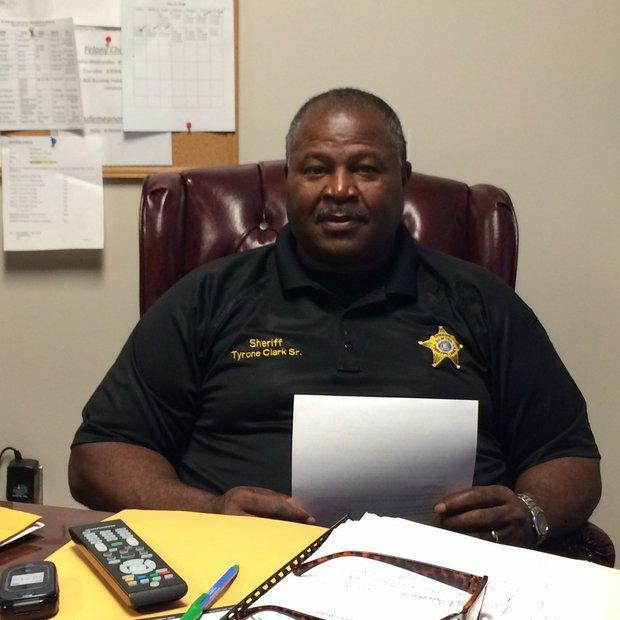 Al.com reports former Sumter County Sheriff Tyrone Clark also pleaded guilty Monday to promoting prison contraband, including allowing an inmate to run a drug operation from behind bars. Seventeenth Circuit District Attorney Greg Griggers says his office dropped human trafficking and perjury charges against Clark in exchange for the guilty plea. The state Supreme Court removed Clark from his position as sheriff in 2016. He was indicted on criminal charges that year. Clark is set to be sentenced in January. Griggers says he expects Clark to request probation. Griggers says his goal wasn't necessarily to send Clark to prison, but instead to "get rid of what had become a sickness on law enforcement in Sumter County."